February 26, 2009, Washington, D.C. – From coast to coast, state and local pensions have a sizable economic and job impact that ripples through every every state and industry. 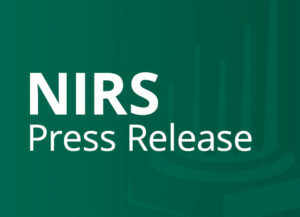 NIRS has issued press releases for all 50 states outlining the economic impact for each state. The national report, “Pensionomics: Measuring the Economic Impact of State and Local Pension Plans,” determines the economic and job impact of state & local pension benefit expenditures. Visit the national map here. Read state-by state Press Releases and Fact Sheets below. Alabama: 14,849 jobs, $2.2 billion economic impact. Press Release and Fact Sheet. Alaska: 6,270 jobs, $1 billion economic impact. Press Release and Fact Sheet. Arizona: 21,162 jobs, $3.2 billion economic impact. Press Release and Fact Sheet. Arkansas: 8,413 jobs, $1.2 billion economic impact. Press Release and Fact Sheet. California: 205,221 jobs, $34.5 billion economic impact. Press Release and Fact Sheet. Colorado: 24,101 jobs, $3.7 billion economic impact. Press Release and Fact Sheet. Connecticut: 18,530 jobs, $3.2 billion economic impact. Press Release and Fact Sheet. Delaware: 2,988 jobs, $476.4 million economic impact. Press Release and Fact Sheet. Florida: 62,587 jobs, $9.1 billion economic impact. Press Release and Fact Sheet. Georgia: 29,422 jobs, $4.5 billion economic impact. Press Release and Fact Sheet. Hawaii: 316 jobs, $941.6 million economic impact. Press Release and Fact Sheet. Idaho: 4,244 jobs, $565.9 million economic impact. Press Release and Fact Sheet. Illinois: 83,611 jobs, $12.9 billion economic impact. Press Release and Fact Sheet. Indiana: 14,214 jobs, $2.0 billion economic impact. Press Release and Fact Sheet. Iowa: 10,422 jobs, $1.4 billion economic impact. Press Release and Fact Sheet. Kansas: 9,020 jobs, $1.3 billion economic impact. Press Release and Fact Sheet. Kentucky: 20,462 jobs, $2.9 billion economic impact. Press Release and Fact Sheet. Louisiana: 22,487 jobs, $3.2 billion economic impact. Press Release and Fact Sheet. Maine: 5,129 jobs, $671.7 million economic impact. Press Release and Fact Sheet. Maryland: 21,804 jobs, $3.4 billion economic impact. Press Release and Fact Sheet. Massachusetts: 30,394 jobs, $5.0 billion economic impact. Press Release and Fact Sheet. Michigan: 45,298 jobs, $6.6 billion economic impact. Press Release and Fact Sheet. Minnesota: 31,274 jobs, $4.5 billion economic impact. Press Release and Fact Sheet. Mississippi: 10,778 jobs, $1.6 billion economic. Press Release and Fact Sheet. Missouri: 28,054 jobs, $3.7 billion economic. Press Release and Fact Sheet. Montana: 3,625 jobs, $483.7 million economic impact. Press Release and Fact Sheet. Nebraska: 3,937 jobs, $514.2 million economic impact. Press Release and Fact Sheet. Nevada: 6,843 jobs, $1.2 billion economic impact. Press Release and Fact Sheet. New Hampshire: 3,088 jobs, $454.6 million economic impact. Press Release and Fact Sheet. New Jersey: 45,083 jobs, $8.1 billion economic impact. Press Release and Fact Sheet. New Mexico: 9,312 jobs, $1.3 billion economic impact. Press Release and Fact Sheet. New York: 136,914 jobs, $24.0 billion economic impact. Press Release and Fact Sheet. North Carolina: 29,070 jobs, $4.2 billion economic impact. Press Release and Fact Sheet. North Dakota: 1,584 jobs, $203.8 million economic impact. Press Release and Fact Sheet. Ohio: 79,410 jobs, $11.2 billion economic impact. Press Contacts and Fact Sheet. Oklahoma: 13,582 jobs, $1.9 billion economic impact. Press Release and Fact Sheet. Oregon: 24,470 jobs, $3.3 billion economic impact. Press Release and Fact Sheet. Pennsylvania: 70,981 jobs, $10.5 billion economic impact. Press Release and Fact Sheet. Rhode Island: 5,615 jobs, $873.9 million economic impact. Press Release and Fact Sheet. South Carolina: 15,895 jobs, $2.3 billion economic impact. Press Release and Fact Sheet. South Dakota: 2,566 jobs, $336.6 million economic impact. Press Release and Fact Sheet. Tennessee: 16,087 jobs, $2.3 billion economic impact. Press Release and Fact Sheet. Texas: 75,221 jobs, $12.3 billion economic impact. Press Release and Fact Sheet. Utah: 7,085 jobs, $1.0 billion economic impact. Press Release and Fact Sheet. Vermont: 1,374 jobs, $186.4 million economic impact. Press Release and Fact Sheet. Virginia: 23,706 jobs, $3.6 billion economic impact. Press Release and Fact Sheet. Washington: 21,035 jobs, $3.2 billion economic impact. Press Release and Fact Sheet. West Virginia: 2,427 jobs, $335.3 million economic impact. Press Release and Fact Sheet. Wisconsin: 33,324 jobs, $4.5 billion economic impact. Press Release and Fact Sheet. Wyoming: 1,773 jobs, $284.3 million economic impact. Press Release and Fact Sheet.